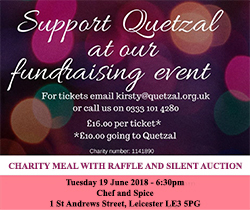 Due to the increasing demand of our service Quetzal is now looking for help with fundraising. Can you spare some time to help at one of our upcoming events? Do you want to hold an event yourself? Help The Quetzal Project raise money by using EasyFundraising every time you shop online. We had a great day at the Mela festival, this really helped to promote Quetzal to diverse community groups, and do some fundraising at the same time. This was a highly attended event, with great food, music and lots of charities raising awareness to the local community. 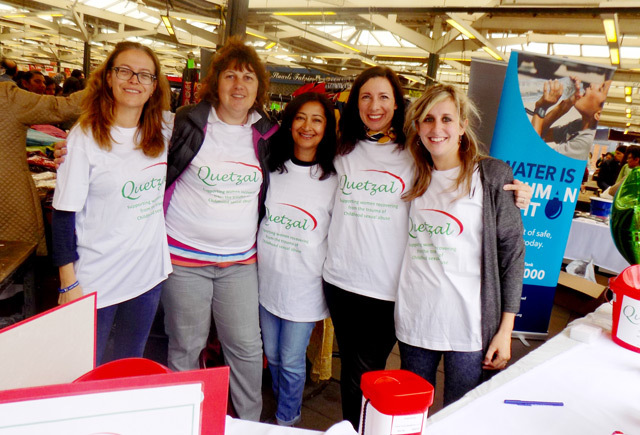 Five members of the Quetzal team attended (see photo; left to right: Julie, Sharon, Smita, Ruth and Paige). Help The Quetzal Project raise money by using easyfundraising.org.uk every time you shop online. © 2019 The Quetzal Project. All rights reserved.